Replacing broken iPhone and Samsung screens is the bulk of our business. We offer advanced phone logic boards repair service too. We can repair iPhone charging problem, touch disease, wi-fi problems, network connection problems, backlight issues, Apple boot loop, liquid damage or any other common iPhone or Samsung problem. Second by volume after screen replacement is battery replacement for iPhone 6 and iPhone 6s. Next in line is charging port replacement and then after that is random selection of camera replacement, wifi fixes, home button replacements, water damage rescue, new back cases and that is pretty much it for cell phone repairs. 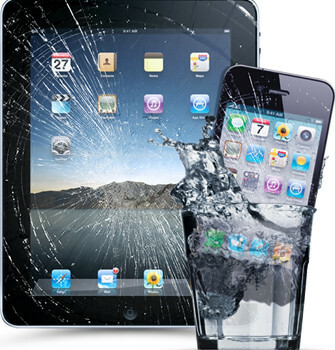 Apart from smart phone repairs we do lots of tablet repairs, mainly Apple iPad. Again, by far the most popular repair is iPad Air and iPad mini and iPad Pro broken glass repair. Next in line is iPad 2/3/4 LCD replacement. Then comes the iPad that won’t turn as it requires reset to factory settings or forgot password unlock. Battery replacements for iPads are also becoming common with Air models. iPods need screen replacements or battery replacements. Charging ports for iPods do go wrong and we can replace them. Surprisingly iPod classic is the most common model that people bring in .They are getting pretty old now but they are very appreciated as they hold lots of data (up to 160GB). If your iPod classic or iPod video battery life is not as great as it used to be we can replace your battery and give it a new life. We are no strangers to MacBooks and iMacs either. We stock parts for most MacBook and iMac models from LCDs to SSDs, RAM, Glass, keyboards touch pads. Our specialty is water damage. We are one of very rare repair specialists that repair water damaged MacBook motherboards. Our technicians have over 20 years of experience in component level motherboard repair.